Jesus and His disciples are making their way to Jerusalem. Anticipation in the group as to what lies ahead is high. Jesus' followers foresee an epic reveal of Jesus as the Messiah and the overthrow of the Romans. Jesus, however, knows that His most difficult task is fast approaching. In this issue, Jeff is continuing his look at the Gospel of Matthew and unpacking exactly what Jesus' earthly mission was and why it was so important. We learn how, right to the very end, Jesus was loving, challenging and caring to those around Him. 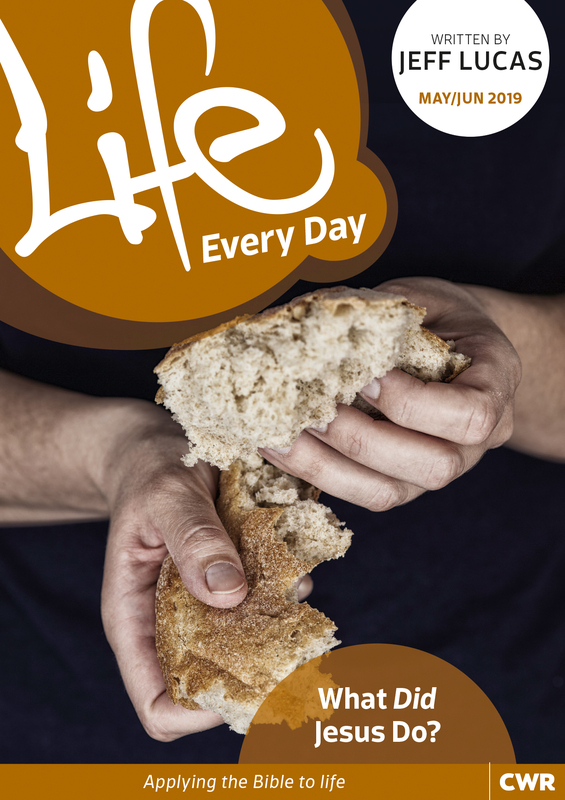 Life Every Day May/Jun 2019 by Jeff Lucas was published by CWR in January 2019 and is our 653rd best seller. The ISBN for Life Every Day May/Jun 2019 is 9781782599524. Just what I need at the moment. I really like these notes - they are deep enough to be challenging, but not so lengthy that the time needed for each study is daunting if you are in work. I have been using them for some time now, starting when I was still working. I particularly like the fact that sometimes we are studying the same passage for several days; I also like the fact that there is only one study for the weekend, as it doesn't feel like such a clash on a Sunday with the church service. I sometimes miss doing a study and can catch up at the weekend - I also am sometimes disappointed not to have one on a Sunday! This just proves how much I enjoy doing them and find them helpful. Got a question? No problem! Just click here to ask us about Life Every Day May/Jun 2019.